As the nation’s largest non-profit pet microchip and recovery service, our mission is to keep pet microchipping and enrollment affordable, with no annual fees, so more lost pets can find their way home. Since 1995 our microchips, collar tags and 24/7/365 recovery experts have helped reunite over 400,000 lost pets with their owners. Over five million pets (35+ different species!) are enrolled in the AKC Reunite service. As a not-for-profit organization, AKC Reunite gives back to the pet community through our Canine Support and Relief Fund in various ways. We offer free microchip enrollment to trained and certified service animals and working military dogs. We also have emergency grants for government and non-profit organizations taking care of pets during disasters. AKC Reunite offers matching grants to AKC clubs to help donate K-9 officers to police departments. The Fund may be used to match a grant from another eligible not-for-profit organization to replace or train a search or rescue dog lost in the line of duty. Funds are available to match funds from AKC kennel clubs to purchase working police dogs. The partnering kennel club(s) must raise at least fifty percent of the purchase price. The recipient police department must agree to display the AKC Reunite logo on the K9 unit vehicle(s). AKC Reunite’s contribution shall not exceed the lesser of 50% of the total cost or $5,000. Interested clubs and police departments can download the application or email relief@akcreunite.org for more information. Our AKC Pet Disaster Relief program donates emergency pet sheltering resources to local Emergency Management organizations. AKC Reunite donates trailers that are fully stocked with non-perishable items to Emergency Management teams so they can provide pets much–needed assistance immediately following a disaster… the critical time before FEMA support and services are deployed. Deployment of these trailers helps municipalities provide its citizens co-location shelters, a safe place where people and pets can remain together in the event of an evacuation. No longer will people need to be separated from their pets – or even worse, leave them behind – when an evacuation is ordered. The trailers can also be used as pop-up emergency sheltering facilities for pets that are displaced from their families in a disaster’s aftermath. 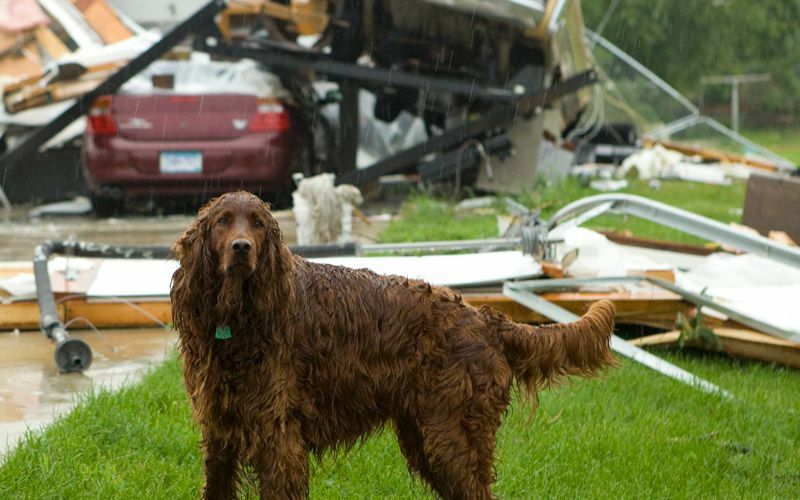 Instead of pet owners putting themselves in harm’s way and returning to a disaster area to find their displaced pet, authorities can use the AKC Pet Disaster Relief supplies to quickly and efficiently create a temporary safe haven to care for lost pets and reunite them with their owners. AKC Reunite also has a limited number of grants to support not-for-proft K9 search and rescue teams. The typical maximum grant amount is $2500, and the application may be found here.